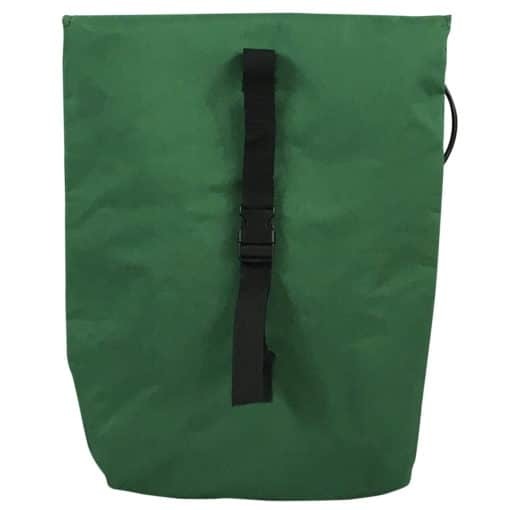 The CW-100 bag is designed to keep your caulk or foam warm in cold weather. Holds several tubes of caulk or cans of foam at one time. Caulk Tube Warmer Bag, Large 18x15x3 inches, Insulated nylon warming bag with patented heat retaining flexible barrier and vinyl lining. Holds large or small tubes and Sausages packs. 50W, 120VAC. Price/Each. 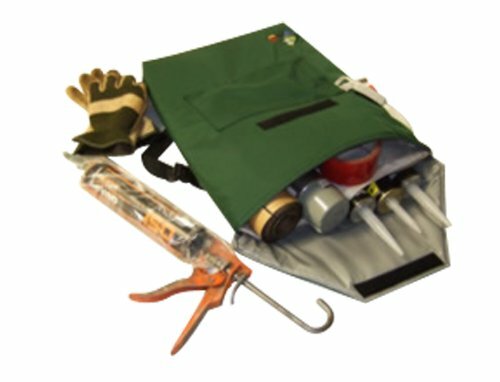 The Caulk Warmer, a unique patented warming bag that combines a light weight economical heat source with a flexible heat reflecting shield to retain heat in the bag and keep caulk and other temperature sensitive items warm. Caulk Warmer bags will keep caulk at about 80 degrees even, when the outside temperature drops to -13 degrees. 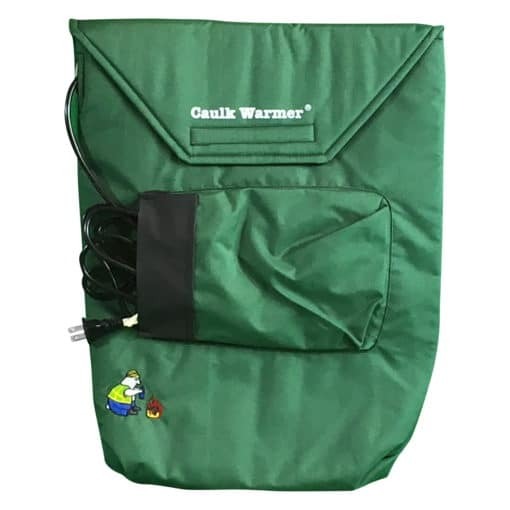 Caulk Warmer is a heavy duty nylon canvas bag with an enclosed heating element that keeps caulk and other products warm in cold temperatures. The Caulk Warmer solves the problem of caulking in cold weather, producing better results any time the temperature drops below 50 degrees. Requires only 50 watts of power. May be used to heat adhesives, epoxies and elasto-meric sealers and coatings, or food industry items that need to be liquified before use. Especially useful for boat builders, aircraft technicians and auto body repair shops for keeping epoxies and resins warm for better mixing and application.